It's RickROLLBACK time at Walmart again! 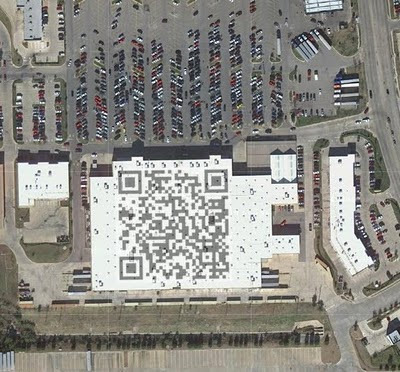 Here's a QR Code linkin' to Rick Astley's "Never Gonna Give You Up" splattered across a Walmart. Well not really, it's sloppily photoshopped, but I imagine it only a matter of months before Astley-smuggling QR codes start poppin up on our sneakiest roofs. Those pilots, martians and Google Earth fiends won't know what's happening til it's too late.